The first half of this semi-final was as close as the Blitzboks have come to matching some of their performances last season. They dominated possession and were well organised defensively. While they did concede twice in the second half, a 12-point half-time lead was enough of a cushion. 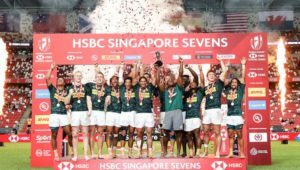 Regardless of whether South Africa win the tournament, making the final will boost their hopes of finishing in the top four on the standings and qualifying for the Olympic Games. They will meet rivals and defending Singapore champions Fiji, who beat England 26-12, in the final at 1pm (SA time). 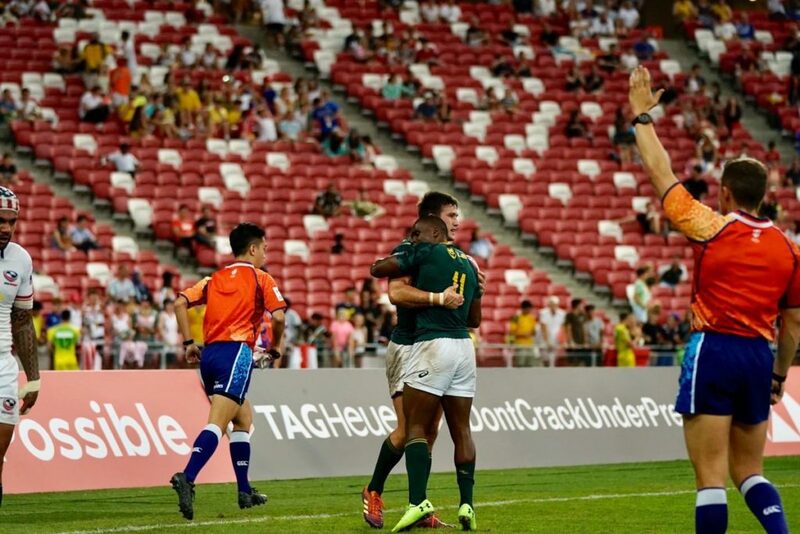 The Blitzboks made a dream start by winning a breakdown penalty and taking the ball close to the line, which allowed captain Siviwe Soyizwapi to score a converted try. 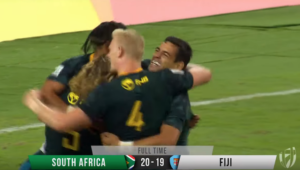 South Africa then went on the attack from inside their 22, which eventually saw forward Impi Visser put Stedman Gans over for the second try with a magical offload. 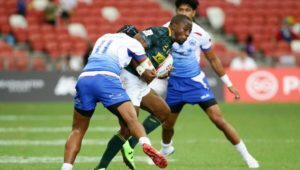 The Blitzboks seemed to be back to their best defensively, as they cut down the dangerous Carlin Isles’ space and put some big hits on the American ball-carriers. However, a spot of ill-discipline gave the Americans the chance to hit back in the second half, which they did when Stephen Tomasin muscled over the line. 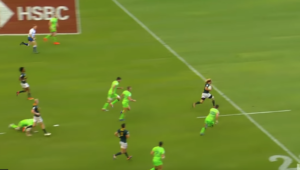 The Blitzboks were able to reassert themselves straight from the kickoff as Justin Geduld got his offload away to Visser, who sprinted a good 50m to score the Blitzboks third of the match. They were then awarded a penalty try which all but sealed the game with less than two minutes to go. Despite being a man down in the closing stages, the USA still managed to score a late try when youngster Joe Schroeder sprinted through the South African defence.